HSS intercept systems give Law Enforcement a tactical advantage when seeking communications intelligence. With a unique “hand off” feature, the user can move from one cellular zone to another and not lose the cellular signals of the target under investigation. Tactical Mobile Monitoring lets the user monitor the conversation while the target is traveling, and every time the target's phone connects to a tower in an alternate cellular "cell", there is no dropped interception. This “hand off” feature transforms a stationary monitoring mission into a mobile information gathering trek. Tactical cellular interception permits physical transportation of the Cellular Intercept telemetry during an investigation when mounted in a surveillance van or surveillance vehicle. Therefore, Law Enforcement Agencies can now travel and intercept cellular phone calls simultaneously without losing the cellular signal. The “hand off” feature within the parameters of the Tactical Mobile Monitoring feature was created to reduce the loss of monitoring cellular signals during an investigation. Law Enforcement Agents can now begin their surveillance in a fixed stakeout format. 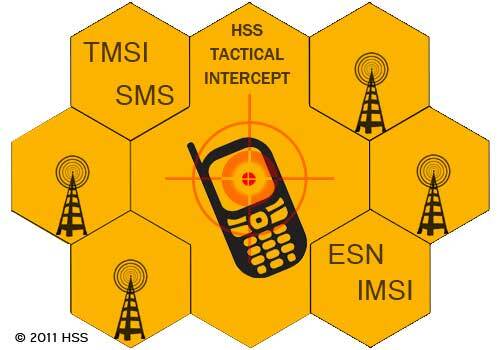 Should the target move or drive away, outside of the service provider area and experience a connection to another service provider, the tactical intercept would permit the following of the target’s cell phone conversation into multiple geographic areas during movement. If you are a Law Enforcement Agency or a vendor to Law Enforcement, you may Contact Us for more information.